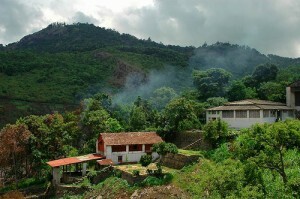 Yercaud is located on the Servaroyan hill, in Salem district. Yercaud is a hill station visited by tourist throughout the year. Its altitude 1500 mts. places of interest include the lake, Anna Park, Orchidorium, Lady’s Seat, Pagoda Point, Bear’s Cave and the Servaroyan Temple. Air: Tiruchirappalli is 169 km away is the nearest airport. Rail: Salem junction is 53 km away is the nearest railhead. Road: Regular bus service from Salem is available. This entry was posted in Hill, Tamil Nadu, Yercaud and tagged Hill. Bookmark the permalink.